“Come on, baby, what’s wrong? Tell me what you need,” my uncle Nicholas was shredding up his old car’s engine, which totally refused to start. Being a schoolboy back then, I was absolutely sure that any exhortation my uncle voiced was powerless against a dumb ton of metal. Talking to a car was just a psychological trick that probably helped my uncle cope with exasperation. Moreover, neither me nor my uncle believed in a possibility to communicate with “dead metal” sometime in the near future. That was in the mid-1980s. When I reached the age of my uncle, the situation changed radically. Over the whole history of creation of artificial objects, people had to invent various means of interaction with a material world around. Whatever manual tool you can take (a stone ax, for example), there is always a handle there enabling our human hands to use that tool. In terms of a contemporary hi-tech culture, a handle is an interface of communication with the stone ax. The same relates to any other artificially-created material object — we always need some sort of a communication interface to be able to work with things. A combination of a key and a door lock provided us with a secure use of doors over centuries. A key-lock compatibility is an interface of interaction with doors. What features are inherent to any interface? Scalability when an interface can be either multiplied many times over or used for many different objects. A certain model of a door lock can be used for similar doors from different manufacturers. All football team members have identical keys to the same door of their locker room. Can people use an object without an appropriate interface? When a S.W.A.T. trooper kicks the door open, he does not use its key-lock interface. When he blasts the door with plastid, he uses an inappropriate interface. Indeema Software taps on his smartphone to unlock the door to Indeema’s office, no physical contact takes place between him and the door. 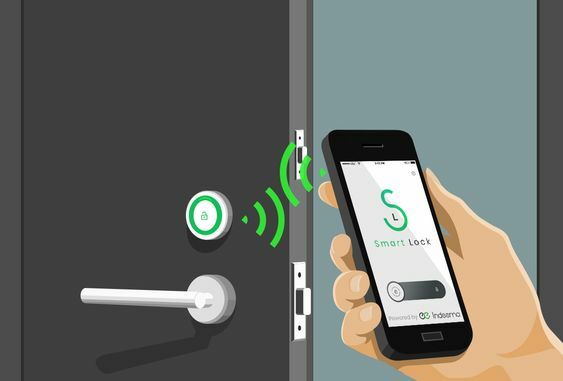 Two processors come to a consensus regarding how the smart lock should behave in accordance with the programmer’s command. One more important feature came into play in the smart world — connectivity. Since the days when the term “smartphone” appeared, the other various “smart” devices were not long in coming. The present civilization, obsessed with comfort, has started from “smartization” of our homes, of course. The range of “smart” home appliances are growing while price for them is declining. Is there any “dumb” home device that has no “smart” analog? Even smart blinds from IKEA are available now for less than 100 Euro, by the way. The IoT manufacturers do their best to spare us the need for being distracted by anything but really reasonable pursuits (couch pucking, for example). Smart-home devices provide us with an extra comfort having, however, little to no commercial performance. Where the IoT brings tangible dividends is industry. Megalopolis infrastructures can benefit a lot from the industrial IoT devices capable of managing such activities as road traffic, when weather conditions and traffic jams are monitored by smart cameras that transfer real-time data to drivers via the internet. Various smart alarming systems installed at objects of a critical urban infrastructure (water distribution, gas supply, waste management, etc.) can mitigate risks of accidents attributed to a human negligence. 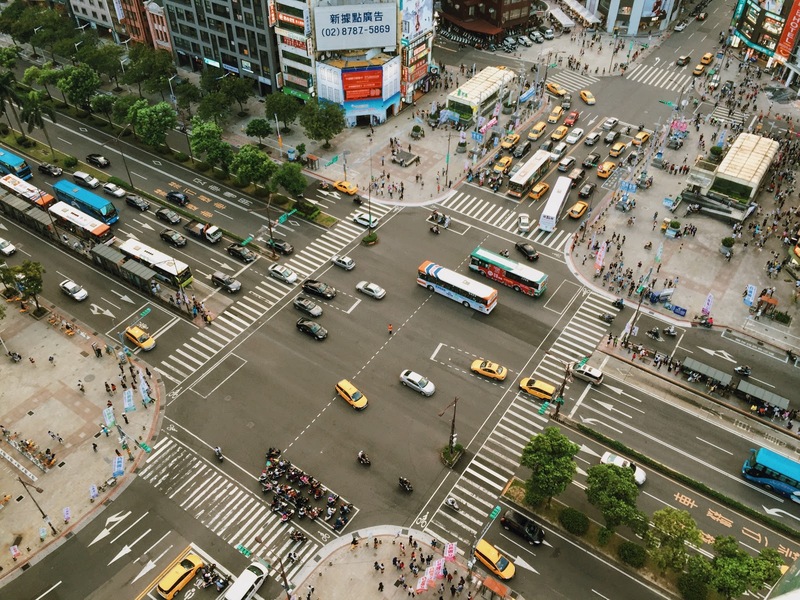 The vast variety of IoT applications belongs to the so-called hygiene of urban life: noise level monitoring, electromagnetic fields’ detection, air quality control, and so on, can transform districts and streets of our cities into responsive citizen-friendly environments. Sensors, gauges, detectors, and the other monitoring and control devices connected via the internet to the AI-powered analytical software constitute one of the most promising applications for the industrial IoT in the present days of emerging climate change. Earthquake early detection, distributed wildfire alarms, flood monitoring and forecasting, air quality control, as well as many other environment-related activities, all should belong to the focus of the IIoT developers. The multifaceted networks of smart devices can saturate both the natural and artificial habitats, creating means of communication with the Nature. Namely, the IoT can help us receive and correctly interpret various signals from the Earth to cope with the effects of climate change. Social threats, economic uncertainty, and unprecedented personal data breaches made security one of the most burning topics in a modern society. Since we cannot imagine our everyday routine without the internet, the IoT devices backed by the internet connection can help us face the security challenges inherent in vulnerable aspects of our life. Smart city cameras empowered by face recognition features can automatically detect and monitor terrorists and criminals in the crowd. However, they also can provide governments with an advanced system of surveillance to monitor social activists and protestants. Whether it is for better or for worse depends on a given society — Chinese and Americans have opposite opinions on it, undoubtedly. But what can be accepted, regardless of any socio-political diversity, are such smart industrial IoT systems as explosive gases detection, radiation level measurement, access control to the areas requiring special authorization, etc. Despite numerous forecasts about a total transition to the online e-commerce shopping, brick-and-mortar stores keep doing big business up to now. Moreover, such pioneers of the staff-free cashless shops as Amazon represent a hybrid retail solution unimaginable without a profound IoT systems. Besides, we all are familiar with a shopping experience which is hardly possible beyond the IoT paradigm — NFC payments. The intelligent product management, supply chain control, shipment conditions monitoring, and fleet tracking can be assigned to the advanced IIoT systems developed specially for retail and logistics. Toxic gas levels in hydroponic greenhouses can hardly be efficient without a certain extent of automation. 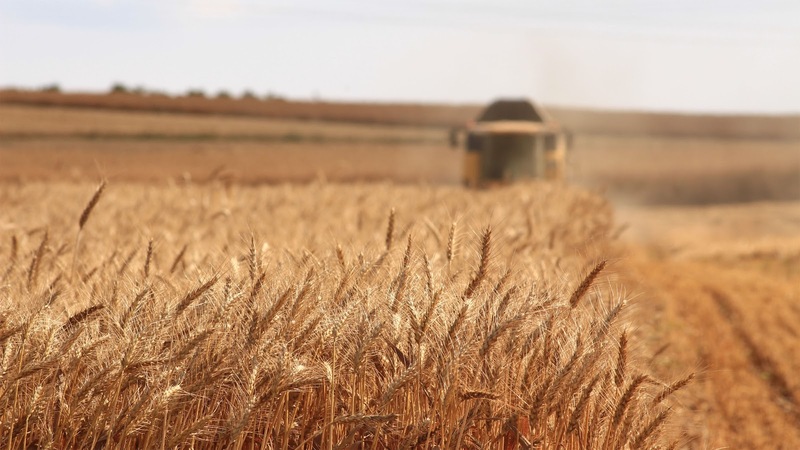 The modern agriculture implies an industrial scale of measures and works while the number of people engaged in this activity steadily declines. Isn’t that an encouraging factor for the IoT developers? The GPS-controlled tractors and combines processing millions of acres are not something special for a long time. But the industry keeps evolving and autonomous drones start facilitating field monitoring in the agriculture of the XXI century. Interactive networks are covering both farming and agriculture with the automatic meteorological stations and always-on animal tracking systems. Nevertheless, there is still enough space for the IoT innovations in agriculture. Auto-diagnosis of machines and vehicles is what probably my uncle Nicholas could dream about in the 1980s asking his car what’s wrong. The industrial vibration diagnostics, for example, is worth using in every industrial application where rotations happen. And rotations happen literally everywhere in industry, actually. Even one type of motion — rotation — can represent an endless field of the IoT implementation. The wider variety of machinery is used, the bigger number of the industrial IoT applications can be applied to the equipment. The IIoT is an integral part of robotization and digitization of industries. Calling IIoT the very essence of the fourth industrial revolution is absolutely legitimate. The industrial IoT solutions offer people a unique opportunity to boost their understanding of a material world around them. Smart devices will keep infiltrating all aspects of our work and rest. The IoT can help us recognize numerous signals from the interconnected objects. Who knows, maybe one day we will be able to get a clear and meaningful response from the entire planet. And won’t it be curious to ask the Earth: “Come on, baby, what’s wrong? Tell us what you need”. Creating Unhackable IoT: Can Blockchain Be Of Any Help?